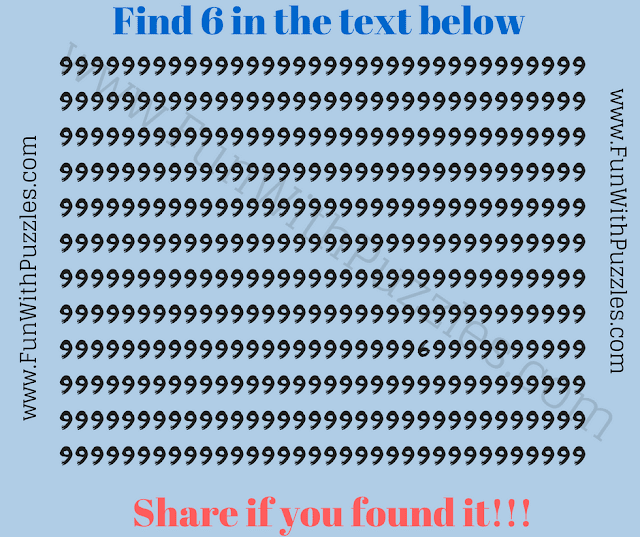 This Easy Fun Picture Brain Teaser for school going Kids. This Picture Brain Teaser will test your observation skills. In this Picture Brain Teaser, you have to find the hidden number 6 in the group of number 9. Note down your time to solve this Picture Brain Teaser and post your timings in the comments section. 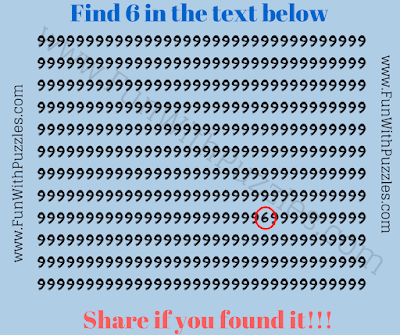 Lets see if you can find this hidden number 6 in 20 seconds? 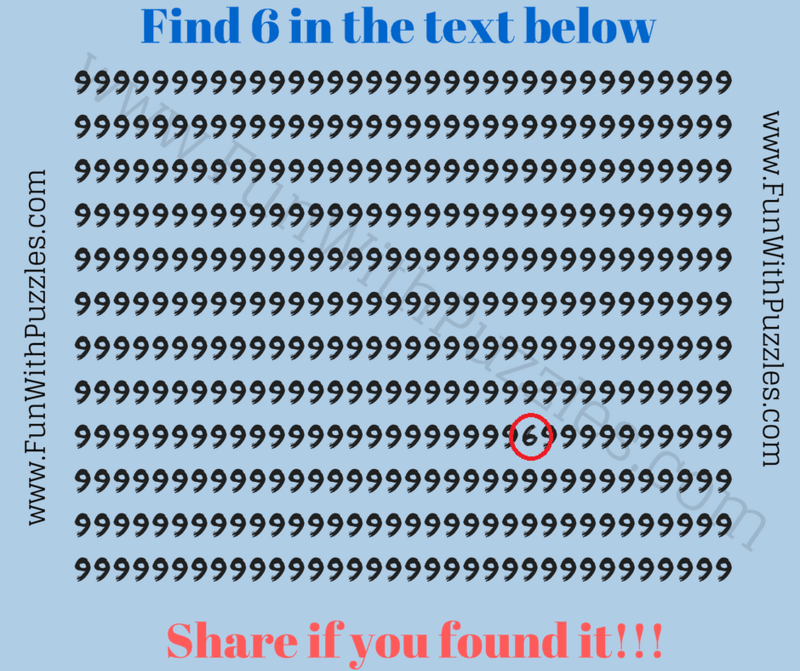 Can you find hidden number 6 in this picture? Answer of this "Fun Picture Brain Teaser for Kids", can be viewed by clicking on button. Please do give your best try before looking at the answer.